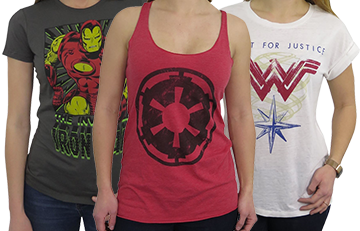 The 100% polyester Wonder Woman Women's Costume Reveal T-Shirt is a shirt pretending to be another shirt...or should I say a costume pretending to be another costume? 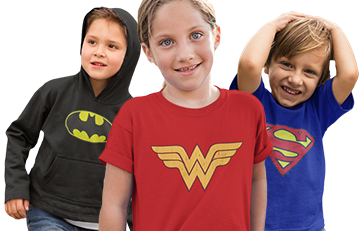 Whatever the case may be, the Wonder Woman Women's Costume Reveal T-Shirt is a top quality shirt that features a shirt appearing to be on top of the Wonder Woman costume shirt. I think you pretty much have your bases covered! I ordered this in a woman's large (or so I thought). The shirt came in a 'Junior' large. I gave it to my niece , she loves it. 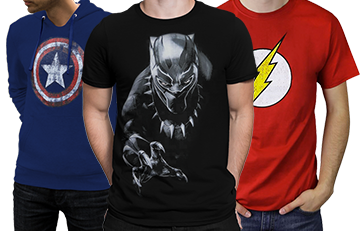 Bought it to wear to go see BvS. Very nice quality, and feels comfy!